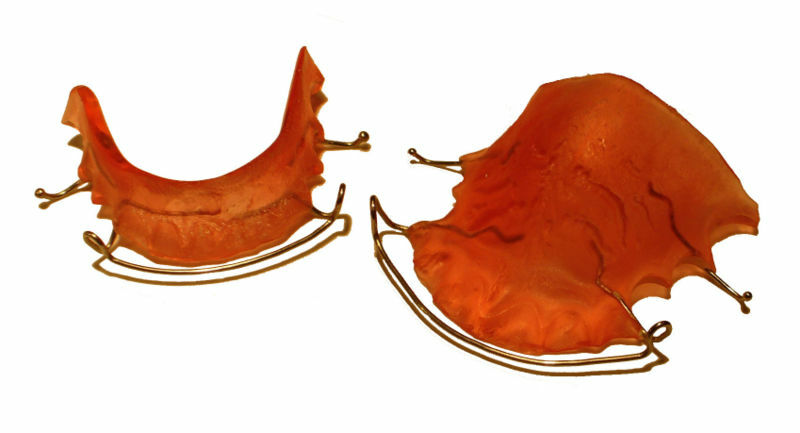 Hawley retainers include a metal wire that surrounds the teeth and keeps them in place. It incorporates two omega loops for adjustment and is anchored in an acrylic arch that sits in the palate (roof of the mouth). The advantage of this type of retainer is that the metal wires can be adjusted to finish treatment and continue moving teeth as needed. Another common type is the Essix retainer. This clear or transparent retainer can fit over the entire arch of teeth or only from canine to canine (clip on retainer), and is produced from a mold. It is similar in appearance to Invisalign. If worn 24 hours a day, an Essix does not allow the upper and lower teeth to touch because plastic covers the chewing surfaces of the teeth. Essix retainers are less expensive, less conspicuous, and easier to wear than Hawley retainers. 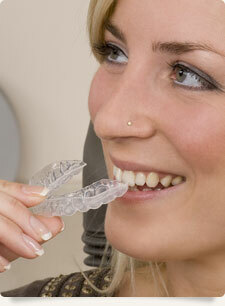 Most removable retainers are accompanied by a retainer case for protection. During the first few days of retainer use, many people experience extra saliva in their mouth. This is a natural response to the presence of a new object inside the mouth. It may be difficult to speak for a while after getting a retainer, but this speech difficulty will go away over time as you get used to wearing it. Wear your retainer full time, until the doctor instructs otherwise. Clean your retainer thoroughly once a day with a toothbrush and toothpaste. Use warm but not hot water. Brushing a retainer removes the plaque and eliminates odors. Efferdent® or other orthodontic appliance cleaners can be used but do not take the place of brushing. When a retainer is not in your mouth, it should ALWAYS be in a retainer case. Pets love to chew on them! Retainers are breakable, so treat yours with care. If your retainer is lost or broken, call us immediately. If you have any questions or concerns about your retainer, or your retainer needs adjusting, call us. Do not try to adjust it yourself. Remove your retainer when swimming.